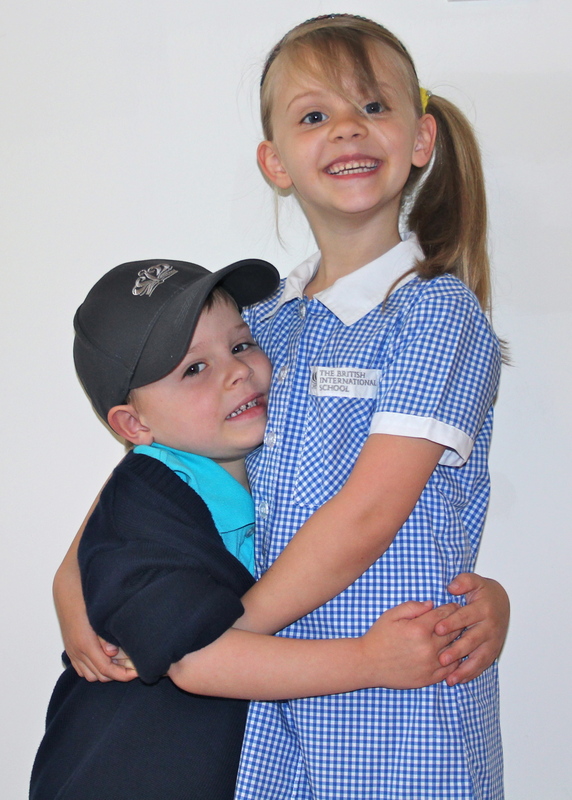 First day of school for my little angels! They were nervous, scared, excited and apprehensive about starting at the British International School Shanghai (BISS). Just like me on my first day in the office here!!! We had been to visit for an orientation and to get school uniform when we first arrived, and they had both met their teachers and seen the school. It is a HUGE change from their little environments in Chalfont St Giles, Bucks, UK. Owen and I rode the school bus with them this morning – 50 minutes from our apartment complex and makes the day soooooo long for them. We had a meet and greet with the headmaster and the PFA (Parents and Friends Association) right after drop off. It was lovely to meet some people who had been here a while and could answer our questions about where to go shopping, find the best fakes, best hairdresser and good restaurant recommendations, etc. To my relief, they both got off the bus at 3.50pm with big smiles and positive chatter about their day. They both “found friends” and are looking forward to going back tomorrow – I will take that as a good sign!